A Masters of Financial Economics (MFE) is a research focused program for applicants with a Bachelor’s. Certain MFEs have excellent placement rates at top-tier Canadian firms for finance in a front- and mid-office capacity. From a career perspective, it is another way to apply for entry-level analyst programs, similar to a top-tier undergraduate program. This means Investment Banking Analyst, Sales & Trading Analyst, Equity Research Associate and Corporate Banking Analyst for front-office and Risk Management Analyst, Counterparty Credit Analyst and Portfolio Management Analyst for mid-office. In many cases, a MFE is a much better fit than an MBA if the end goal is to land a prestigious job in investment banking, sales & trading and asset management. Without a strong brand name for work experience pre-MBA, your MBA is likely not enough to land you a job as an investment banking/S&T associate or management consultant, even with a high GPA and 99th percentile GMAT score, which means a lot of tuition and time are used up without getting the ideal job. The MFE will not require substantial existing work experience and leaves you open for a prestigious MBA in the future. 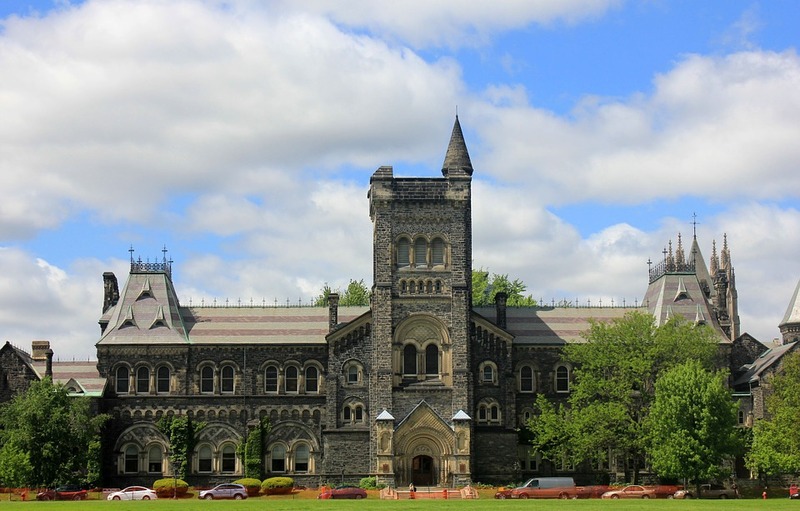 There are 2 MFE programs in Canada, offered by University of Toronto and Western University. We have provided statistics for two more MFE programs internationally. MFE programs are generally more quantitative and economics heavy compared to the more general purpose MBAs and Master’s of Finance programs, requiring courses such as Advanced Derivatives and Econometrics. As a research Master’s, MFE programs require lower tuition, no requirement for professional experience and an option to continue onto a PhD. Unlike Masters of Financial Engineering programs, they tend to place their alumni into the front office, evidenced by historical placement statistics. Light programming (R, Matlab) is a part of most MFE curriculums, and it should be relatively easy to pick up for someone with experience in Excel. The more established of the 2 programs, the MFE at UofT is a top tier program for investment banking and trading. Internship placements for the class of 2013 to 2016 has been 100%, with students landing internships in top firms like CIBC World Markets, BMO Capital Markets, J.P. Morgan, and RBC Capital Markets. Full time placements are just as excellent, with a large proportion of the alumni landing jobs in the big five banks. Trading desks (Sales & Trading) like the quantitative nature of this degree very much and have a fairly even split for graduates joining as analysts or directly at the associate level. The program is also reputable on Wall Street, giving you the option of moving to work in New York after 2 years. With its reasonable tuition (half of Rotman’s MBA (~$98,000)) and high expected salary, this program is excellent value for money. As expected, the program is highly competitive, with 30 applicants admitted from the pool of 470 applications. Given its competitiveness, the actual GPA is also significantly higher than the minimum, reportedly between 3.6 to 3.7. Everything considered, this is the gold standard in Canadian MFE programs and if GPA and tuition are not problems and a top quality finance career is the goal, the Rotman MFE is a good choice. The younger of the 2 programs, the first cohort graduated in 2015. Although the program is fairly new, the program leverages Western University’s broad career centre and alumni networks (Western has the best undergraduate business program in Canada with Richard Ivey). The program also boasts a 100% internship placement rate, although with more of an asset management and mid-office focus (AIMCo and Manulife) compared to the UofT MFE. Their standards for admissions are as rigorous as UofT, but the actual admissions GPA is lower. The program is a good way for a non-business undergraduate to land a decent job in finance, giving you an option to pursue a more prestigious MBA in a few years. There are many international Universities that offer MFE/MSFE programs. The distinction between MFE and Master’s in Finance is not as clear outside of Canada and some less reputable MFE programs may actually be a glorified CFA preparation program. The top 2 international MFE programs are outlined here. A relatively young program by an Ivy League university, the Columbia MSFE is a great alternative to Canadian MFEs. Conveniently located in New York City, the undergraduate program places very well in Bulge Bracket investment banks. The location facilitates networking with Wall Street professionals – if your ultimate goal is Bay Street, this may mean fewer networking opportunities but the Columbia brand will land you interviews. The tuition is steeper than the Canadian programs and Columbia Business School does not offer financial aid for the MSFE. This can be cost prohibitive to some students, but this also means less competition (GPA, GMAT/GRE scores) from those who have been priced out. Everything considered, this is a great but relatively expensive program from a prestigious university, and it gives you an option to work on Bay Street or Wall Street. A relatively short financial economics program by one the world’s most prestigious universities, the Oxford MSc Financial Economics (Said Business School) is a good European alternative to the Canadian MFEs. Compared to its peer group (London Business School, London School of Economics), its location is somewhat distant (~100 km) from the financial center. That being said, the prestige of the program should compensate for that, evidenced by excellent placement statistics into top firms such as Bain, Merrill Lynch, Morgan Stanley, JP Morgan and Goldman Sachs in London and in Asia (Hong Kong/Beijing/Singapore). Studying at Oxford also gives you the flexibility of either working in London or returning to Canada, providing that you can get the visa. Expected salary from this program is lower than its Canadian/US counterparts (for London jobs after the GBP’s fall), but it’s comparable to the average investment banking analyst salary in the UK.